L.A.-based band St. 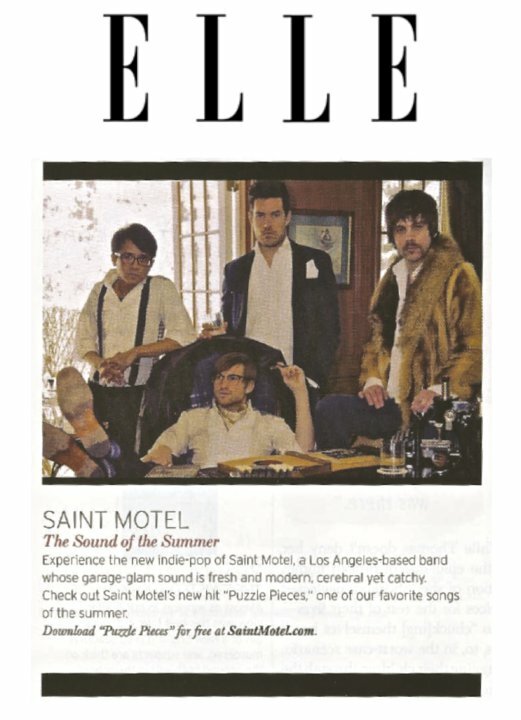 Motel, whose frontman AJ Jackson hails from the Twin Cities, were just name-checked in the July issue of Elle Magazine, thanks largely to the strength of their new single, "Puzzle Pieces" (which you can download for free at saintmotel.com.) We saw them at SXSW this year, and they definitely rocked.